There is a small sink hole in the road at this location. It has had a flashing barricade on it for several months. A city worker drove by in a maintenance truck 30-60 days ago, mentioned that 'he didn't have this one' and noted it. 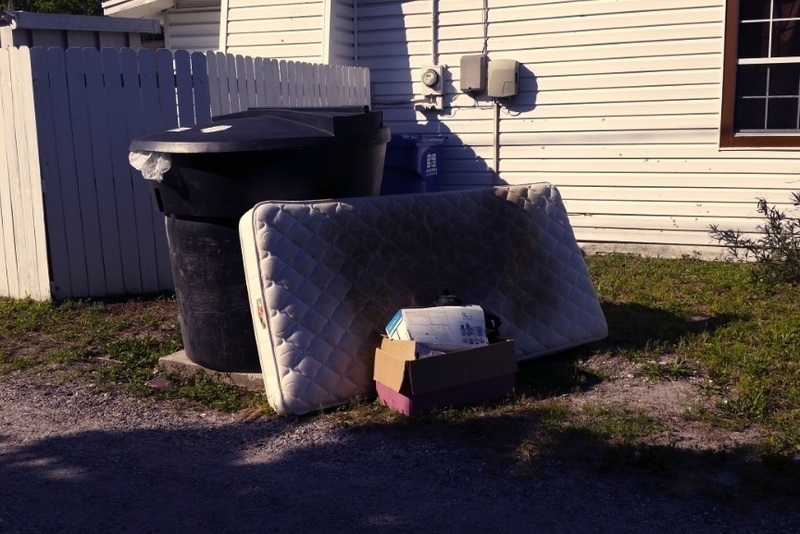 A soiled mattress and boxes of household items were dumped in the alley at this address. Please remove these items at your convenience. Thank you. Here is a lower-resolution photo. That sounds great. Thank you. 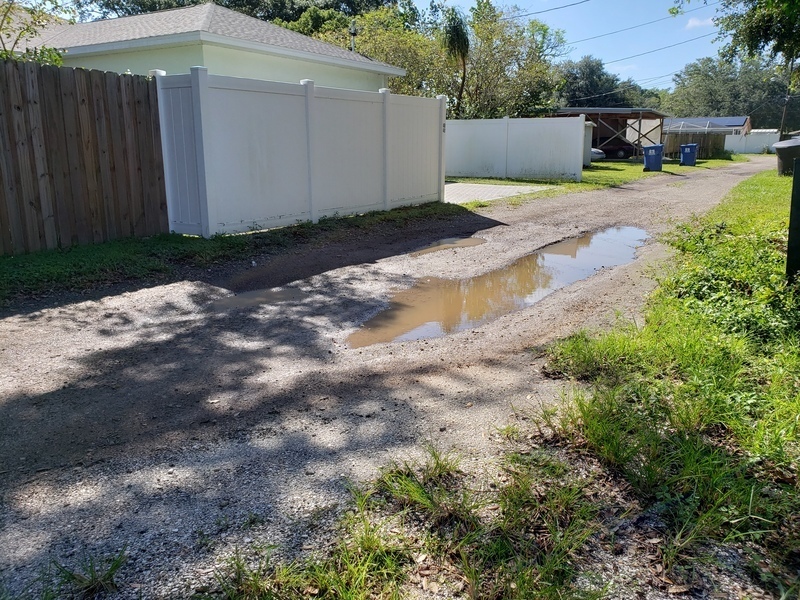 The alley behind my property needs to be bladed/smoothed, it has a big pothole and everytime it rains the alley floods. The pictures attached were taken a few hours after it had stopped raining. Also, it appears the alley was repaired a long time ago by adding gravel and/or sand which caused the alley to have a higher elevation than my driveway. This then causes rain water to run off towards my house and ends up flooding my driveway since the water can't drain into the alley. Alley going south behind this address need materials. It is behind funeral home that is on 16th Street. Washing out due to a drain. May be a codes compliance issue also. there is a large flat bed tow truck that is parked there overnight. they also use this tow truck to bring different cars to the house daily to work on in the garage for what appears to be car paint and body repairs. the smell is horrible. there is a family with small kids in the house across the alley. When I am walking my dogs I notice that many of these cars do not appear to have tags on them. Issue 5643450 has been marked as a duplicate of this issue.